The beautiful North East of England is one of few remaining places in the country where swathes of near-wilderness remain. Untarnished landscapes of heather-hewn hills, lush river valleys, rugged cliffs and sheltered beaches create a natural masterpiece no picture can truly capture. Claiming three of England’s national parks, the North East is truly a fantastic place for people who love the great outdoors. Whether you want to explore Northumberland’s epic beaches, fancy walking along Hadrian’s Wall or long to spend time in the Yorkshire moors and dales, camping and glamping in North East England give you the opportunity to really appreciate the scenery. Campfires by the river in stunning Swaledale. Rugged and raw camping in iconic English landscape. Fancy pitching your tent in County Durham? We’ve got the campsite for you. Read on for our list of favourite camping spots, ranging from campsites with a view and romantic glamping spots, to group-friendly sites. No one is left out. From Flamborough Head to the Spurn Heritage Coast, the East Riding of Yorkshire, or simply East Riding, in North East England is a camping destination like no other, with an incredible sandy coastline to explore as well as lively inland settlements like Hull or historic Beverley. Camping in Northumberland? Find the best campsites in the north here, with this specially chosen collection by the experts at Cool Camping. Whether you’re pitching your tent, parking up a campervan or looking for a luxury glamping experience, these incredible Northumberland campsites are sure to offer the perfect inspiration for your next camping adventure. Whether it's pitching your tent in the trees or parking your campervan beside a river, find the best campsites in Northumberland National Park with this curated collection from the authors of the Cool Camping guidebook series. 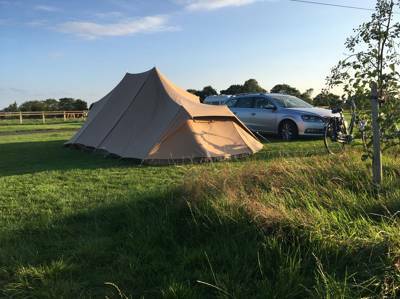 Looking for a campsite in North Yorkshire? This specially chosen collection from the Cool Camping guidebook experts includes all the best places to pitch your tent, park up your campervan or even spend a night luxury glamping beneath the stars. 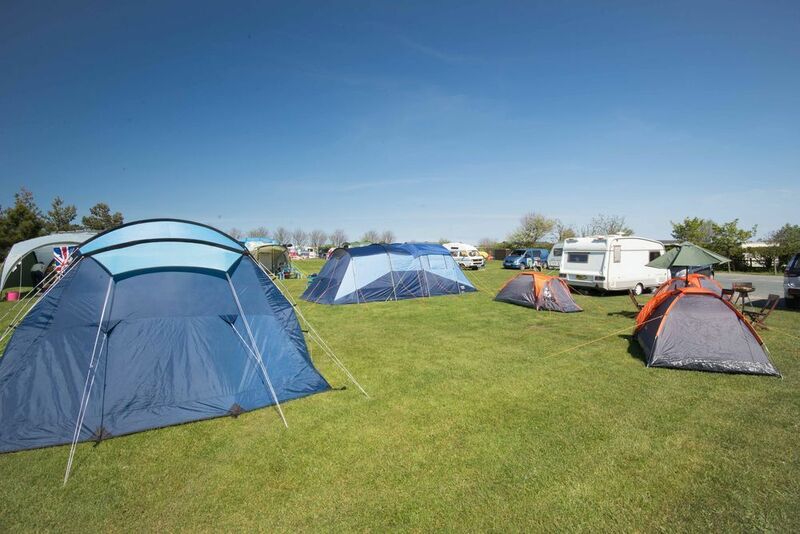 Discover the best North Yorkshire campsites here and book online at the best price with Cool Camping’s price-match guarantee. Pitch your tent, park your campervan or peg down under canvas in the Lincolnshire Wolds with this collection of the best campsites in the area, all chosen by the experts behind the Cool Camping guidebooks. Pitch up in the North York Moors National Park with this collection of exceptional campsites recommended by the Cool Camping team. From mountainside camping to woodland campsites, discover the best North York Moors Campsites here. Bounded by the Pennines, Hadrian’s Wall and the Northumberland coast, North East England has both natural and manmade beauty on an epic scale. It’s home to the Northumberland National Park, the North York Moors National Park and parts of the Yorkshire Dales National Park too. It’s little wonder, then, that this region is also home to some of the most scenically-situated campsites in England. There are campsites with views of valley and dale that famous fell walker and writer, Wainwright, would find inspiring and campsites with sea views on the North Sea coast. There are campsites within easy reach of the region’s highlights and attractions and an ever-growing list of incredible glamping options for those who don't fancy pitching their own tent. You can spend days hiking, running and mountain biking in the countryside of the North East or head out to visit market towns and picturesque villages, historic cities like York and the seaside resorts of Scarborough and Whitby. And there are wildlife hotspots and heritage sites that are hard to beat, from Hadrian’s Wall to Lindisfarne Island. Whether you want to pitch your tent at campsites along one of the region’s long-distance trails or hire a shepherd’s hut within easy reach of an attraction you want to visit, the Cool Camping collection will have something to tempt you. There is nothing quite like a bit of back-to-basics camping to reconnect with you with the natural world. And in North East England where there’s plenty of natural beauty, camping in a tent or staying in your own campervan just seems right. If you’re in amongst one of the region’s national parks or areas of outstanding natural beauty, staying in a tent has a limited impact on the environment and is often allowed where longer-term building would not be. There are tent camping sites in dry-stone wall surrounded meadows in the Yorkshire Dales and with far-reaching views across the North York Moors. There are places to pitch your tent in Northumberland’s national park and along on its beautiful coast too. Classic camping is all about immersing yourself in the outdoors, so it gives you lots of opportunity to enjoy beautiful views, spotting wildlife and, when night falls, stargazing, especially in the more remote areas of the North East. For some people classic camping is not just about getting back-to-basics and finding as remote a spot as possible. Sometimes you want to stay in the cosy and familiar surroundings of your own tent, right on the doorstep of the places you'd like to visit. You might want to pitch within walking distance of a pub, within sight of the beach or on the outskirts of a village, town or even city that you particularly want to explore. The Cool Camping team has sought out classic campsites right across the North East and has only given the thumbs-up to places that offer an awesome location, a super-friendly host or just an amazing atmosphere. 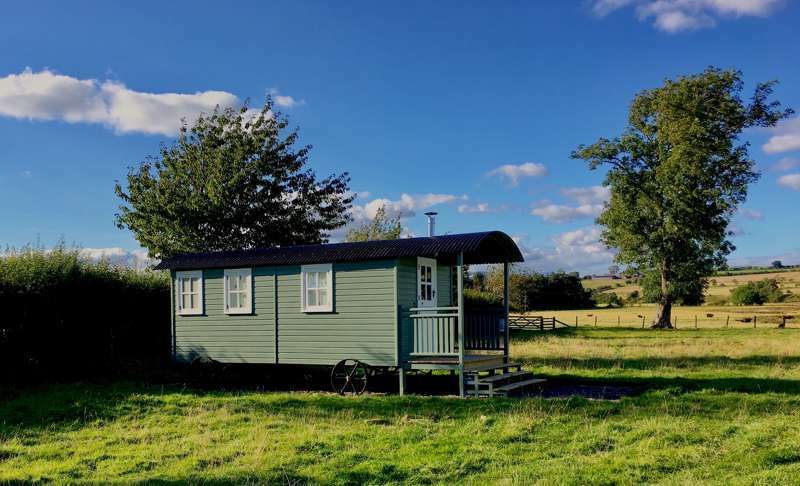 If you don’t have your own camping kit or don’t fancy the journey up north with the car stacked to the rafters, how about glamping in North East England? There are plenty of places to choose from and if a chill wind blows in off the North Sea or down from neighbouring Scotland you might just find yourself feeling a little smug as you toast toes by a log-burning stove. 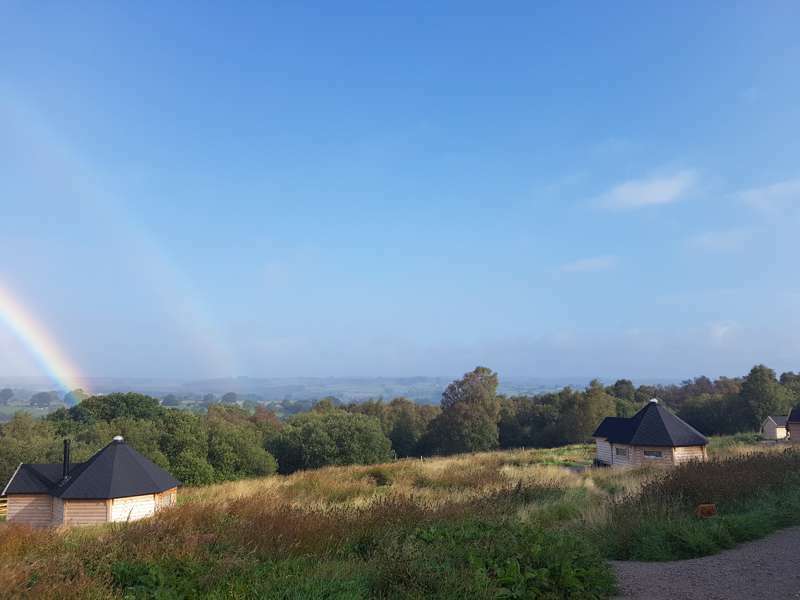 There’s lots of glamping accommodation in the North East that comes kitted out with stoves, blankets and insulation to keep you cosy on cooler days; log cabins, eco pods, shepherd huts, gypsy caravans and yurts. 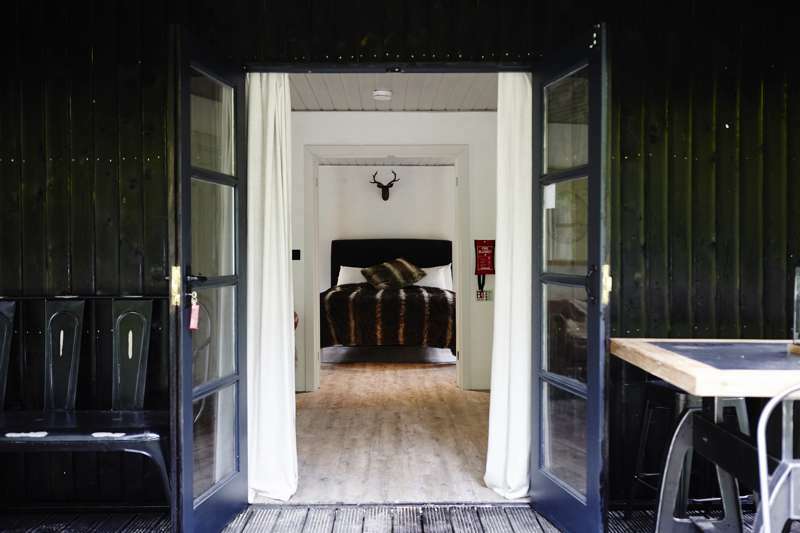 These little touches can make glamping a great way to extend the camping season beyond the summer too and many glamping sites are open year-round, giving you a cosy place to hide away after days outside in the elements. The level of luxury you choose really depends on your taste and there are plenty of places that offer an experience that’s akin to staying in a boutique hotel with hot tubs, fluffy towels and proper beds made up with luxury linens. 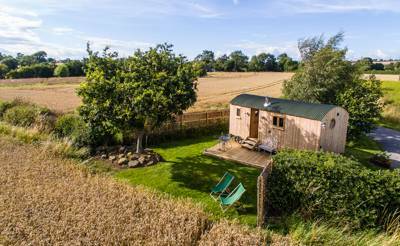 But if it’s a taste of the simpler things in life you’re after, choose a glamping site that keeps things simple. Pre-erected bell tents, safari tents and tipis can offer that back-to-basics feel. You’ll have the pleasure of sleeping under canvas without the faff of pitching your own tent. This makes it great for first-time campers or families with young kids who want to test the water without investing in the equipment. There are plenty of family-friendly campsites in the North East of England; places where kids are welcomed with open arms and where facilities have been designed with little ones in mind. Sometimes you’ll find a children’s play area, sometimes a tree swing, a nature trail or other activities to keep the kids amused. But whether or not the facilities are child-centred, take your kids camping and we can almost guarantee the only time they will complain is when the time comes to go home! Kids just love camping: sleeping under canvas, spending time in the great outdoors, making new friends and the sheer adventure of it all is enough to keep them amused. The parents among the Cool Camping team have camped all over the UK with their own children and our guide to family-friendly campsites picks out the very best sites for children. Sometimes we’ve selected a site because it has fab facilities, sometimes because it’s a stone’s throw from a beach which is good for a paddle and sometimes because it’s near some of the family-friendly attractions in the North East. There are so many reasons to go camping in Northumberland that we’ve created a few separate blog posts about them. For starters there’s are the amazing beaches. From the dune-backed Druridge Bay to Bamburgh and Dunstanburgh with their shoreside castles, it’s sand all the way in Northumberland. Whether you want to walk the dog on a windswept beach or take the kids with buckets and spades, there’ll be a beach to suit you on this stunning stretch of coastline, most of which falls in to the Northumberland Coast Area of Outstanding Natural Beauty. There’s also the Northumberland National Park – a mere 1,030 square kilometres of farmland and moorland with rivers and a section of Hadrian’s Wall included – and that famous wall is another reason in itself. One of England’s must-see sites with a popular long-distance national trail running along its length from coast to coast, the Roman-built Hadrian’s Wall is a UNESCO World Heritage Site. If you're looking to go camping in Yorkshire, you're probably weighing up between moors and dales. One of ten national parks in the country, the North York Moors is said to be home to the ‘finest view in England’. That’s according to the author and famous vet James Herriott – you’ll have to take a trip up to Sutton Bank to see what you think for yourself, easy when you’re camping in or near the North York Moors. The escarpment at Sutton Bank is close to the village of Thirsk and there’s a visitor centre there to help you find your way to the places with the best views over the Vale of Morbray and the Vale of York. The park is a mixture of heather moorland and woodland. The national park has, in fact, the largest expanse of heather moorland in England – an internationally important habitat – making it a great place to spot insects, birds and rare plants. Look out for Britain’s smallest bird of prey, the merlin, which is found here. The park is notable for its dark skies too which means that if you choose to camp here, you’ll enjoy some of the best stargazing in the country. The national park's eastern boundary is on the North Sea coast which means it is edged by a fantastic coastline of cliffs, beaches and picturesque villages. Whitby, Staithes and the quaint town of Robin Hood’s Bay are all popular places to visit with stone cottages leading down to steep streets to the sea and a history of fishing and smuggling. This 26-mile stretch of coast is sometimes known as the York Moors owns “Jurassic Coast” where fossils and dinosaur bones have been exposed through erosion of the cliffs. Bridging the gap between the North West and the North East, the Yorkshire Dales are also designated as a national park. Covering a much larger area than the Moors, the Dales are an upland area of the Pennines with beautiful dales, or valleys, in between. The countryside here is criss-crossed by rivers, streams and dry-stone walls surrounding isolated farms, barns and wildflower meadows. It’s a delightful place to go camping or glamping and, like the North York Moors and the even-closer, Lake District National Park, is best explored on foot or by bike. For the fit – the Yorkshire Dales even has its own three peaks challenge. Climb Pen-y-Ghent, Ingleborough and Whernside covering 24 miles in 12 hours to claim your Three Peaks certificate. Alternatively, you could step out on the Coast-to-Coast, a national trail that will take you across the Dales – as well as the Lake District and the North York Moors – a total of 190 miles. For a more sedate way to see the national park, you can step aboard the Settle and Carlisle Railway – and don’t forget to tuck in to some of the region’s Wensleydale cheese for a real taste of the district. North East England is not short on places to visit on days out during a camping or glamping holiday. Apart from the national parks of Northumberland, North York Moors and Yorkshire Dales, there are plenty of places you might like to discover, whether you are looking to learn about the area’s heritage sites, want somewhere to take the family, are looking for a place to spend a rainy day – or a combination of all three. Alnick Castle is probably the king among castles in the North-East but there are also the romantic ruins of Dunstanburgh Castle and Bamburgh on the Northumberland coast, which will have you reaching for the camera. There’s also a castle on Lindisfarne or Holy Island, where you can visit the 12th century Lindisfarne Priory – a place of pilgrimage and said to be where the Lindisfarne Gospels were written. Hadrian’s Wall and the remarkably intact Roman forts at Housesteads, Chesters and Corbridge are all part of a UNESCO World Heritage Site which marks the former boundary of the Roman empire and if history is your thing, you can find out about the Vikings too on a visit to York’s well-known Jorvic Viking Centre. If you’re in the city, you won’t want to miss its magnificent cathedral either, York Minster. Beamish Open Air Museum remembers more recent history and is a living village with reminders of the 19th and 20th centuries that’s fascinating to explore. The quaint seaside town of Whitby on the Yorkshire coast has a ruined abbey that is said to be the inspiration for Dracula while the seaside resort of Scarborough offers more kiss-me-quick entertainment with amusement arcades and sandy beaches. 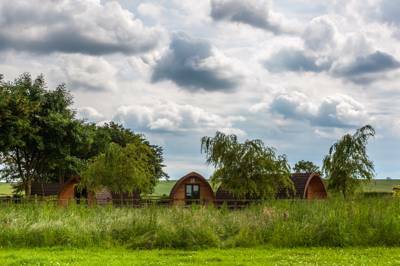 For more inspiration on places to visit during a camping or glamping holiday in North East England, check out the suggestions on the Visit England website. 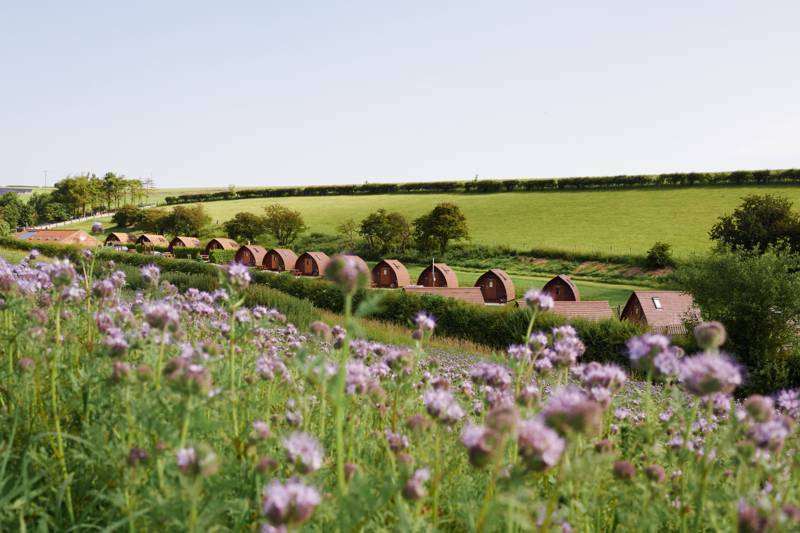 North East England at Campsites in North East England, If the North East of England is calling you for a camping holiday, look no further than Cool Camping’s handpicked list of the best campsites to stay in. There’s an array of sites, whether it be glamping, pitching your tent in a remote spot, or parking your campervan in a scenic campsite.